The Malmo 'bridge' from Denmark to Sweden is about 15km long and is composed of a tunnel which comes out on a small island then continues as a bridge across the Oresund. We passed many rows of wind vanes - reusable energy sources are a priority in Sweden. 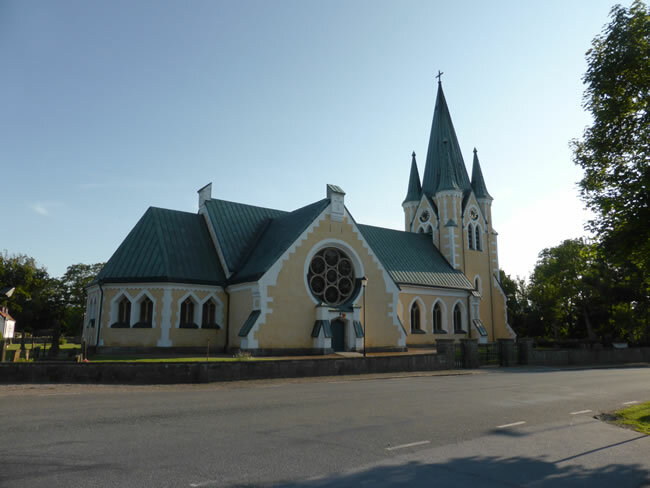 Our first stop was at Tollarp to see the typically swedish, Vram Church.